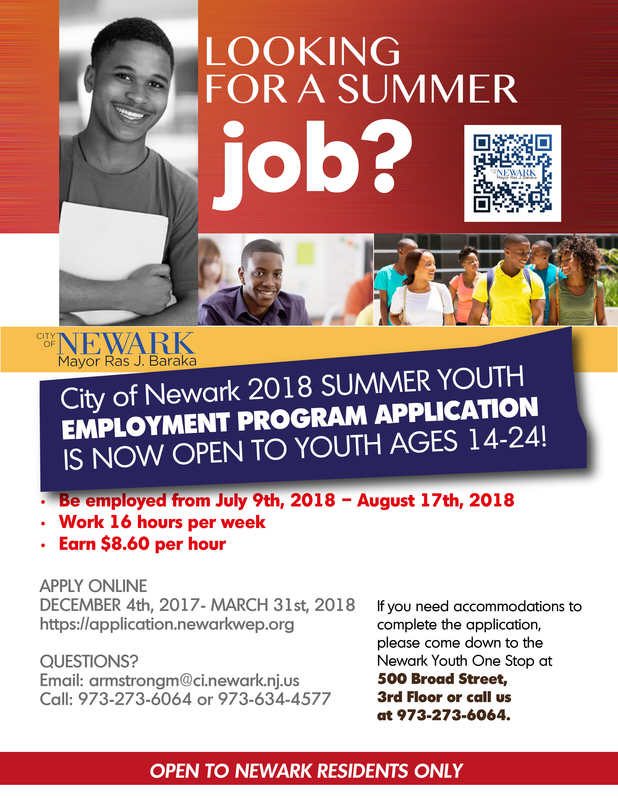 The Summer Youth Employment Program (SYEP) offers work experience, teaches valuable employment skills, financial literary and provides you with a summer income. SYEP educational activities will enhance your summer experience, allowing you to develop career awareness, understanding of personal money management and work- related social skills. ✔ Pre-employment Training: Receive help with résumé and cover letter writing, and interviewing skills. Learn essential workplace readiness skills and business etiquette. ✔ Paid Summer Internships: Paid internship opportunities available in a variety of industries to accommodate student interests. ✔ Newark Public Schools (Academic Enrichment): Paid internship opportunities available in a variety of industries to accommodate student interests. ✔ Academic Acceleration: Youth will attend specialized classes at NJIT in coding and architecture and design. SYEP also partners with many year-long youth programs to compensate their participants in the summer. Before starting your application, please ensure you have:✔ Turned 14 or will be 14 by June 1st of application year✔ An ACTIVE email address that can receive and send emails ✔ Your CORRECT social security number ✔ Alien Registration Number (if it applies) ✔ Civil Service number or proof of completion. Access the Summer Youth Employment Program application on here! The deadline to submit applications is 3/31/2018 at midnight.